XIKAR, Inc. proudly announces a digital marketing partnership with Cigar Boss, the #1 Cigar App in the world. XIKAR will advertise on Cigar Boss and collaborate to add a new XIKAR accessory section, similar to the app’s very popular “Cigar” section. In addition, XIKAR will offer the Cigar Boss Custom App and Preferred Store Programs to their retail partners, beginning at this year’s IPCPR show in Las Vegas. This integrated partnership provides an outlet for cigar enthusiasts to evaluate XIKAR products before purchase. The app provides a description of the accessory, price, user reviews of the product, as well as links to educational videos for cigar enthusiasts. Consumers can access these features any time on their mobile device, or by using the iPad kiosk available inside all Cigar Boss Custom App retailers. 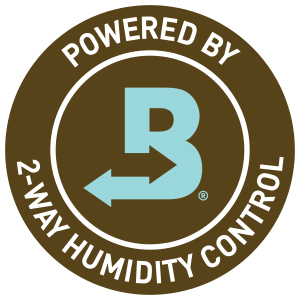 XIKAR and Cigar Boss are also working to integrate the XIKAR PuroTemp System into the existing Cigar Boss “My Humidor” section to assist users with real-time monitoring of their cigars. “When we saw what the guys at Cigar Boss had created, we knew they would be a great innovation partner,” said Kurt Van Keppel, CEO and Founder of XIKAR. “We have similar goals; educate the cigar consumer and develop industry leading innovations, all aimed at enhancing the cigar smoker’s experience,” continued Van Keppel. “We are very excited about partnering with an industry leader in XIKAR,” said Sonny Westmoreland, President and Co-founder of Cigar Boss. 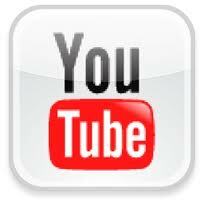 “XIKAR is the leading cigar accessory brand, and we are the #1 Cigar App in the world. I believe together we can be a powerful resource for consumers who are looking for their favorite cigars and accessories at retailers across the country,” added Westmoreland. Look to the app for additional innovations from XIKAR and Cigar Boss to help passionate cigar smokers continue to enjoy premium cigars. 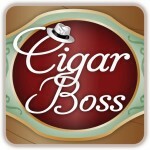 The dedicated XIKAR section on Cigar Boss will be available to consumers as a free update beginning next week. XIKAR, Inc. proudly introduces the Enigma II, their latest re-designed model. This lighter now has a sleek design, re-engineered for improved dependability and performance. The Enigma II takes a reliable workhorse and gives it more horsepower along with a new professional look. XIKAR upgraded the Enigma II double jet flame lighter from the original and popular Enigma that made its debut in 2006. XIKAR re-engineered this particular model to enhance its quality and performance while maintaining the same size and shape that Enigma users love. Check out the new model in stores now, available in black, chrome silver and the popular G2 finish (pictured). “XIKAR’s focus is on innovation, superb quality and extraordinary customer experience. By re-engineering some of our existing models like the Enigma, we are living up to our promise and to the expectations of our consumers,” said Kurt Van Keppel, CEO and Founder of XIKAR.